Beneficial properties of apple cider vinegar do not end there! Do you know that apple cider vinegar can use to make skin, hair, teeth and nails beautiful? For many centuries apple cider vinegar has been widely using in cooking and medicine. Let’s find out more about this wonderful ingredient! Apple cider vinegar contains natural acids, antioxidants and nutrients. It helps in the treatment of colds, digestive disorders and various infections. It is proven that apple cider vinegar is useful for people suffering from acne. In addition, apple cider vinegar helps to soothe sunburn as well as relieves pigment spots and other skin problems. As we have said, not everyone knows how to use apple cider vinegar for beauty. 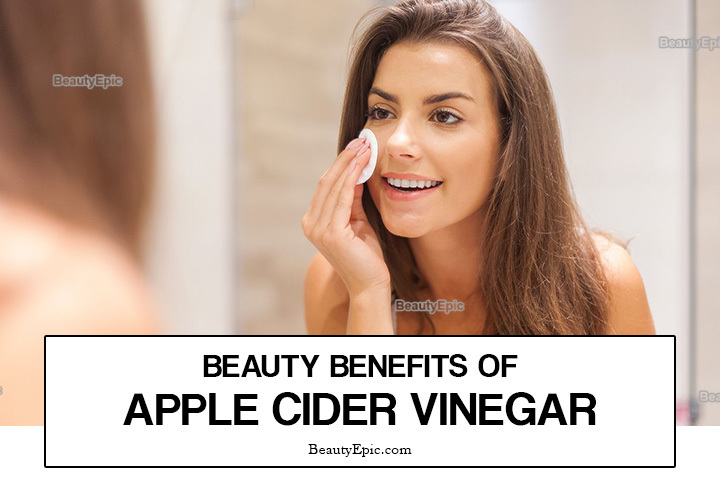 Today we would like to explain benefits and uses of apple cider vinegar for beauty. Acetic acid and antioxidants in apple cider vinegar helps to restore the natural pH balance of the skin and protect it from wrinkles. Repetitions: Follow this remedy once in a week. Antibacterial properties of apple vinegar can help to prevent cavities and reduce bacteria-causing plaque and fight bad breath. Take a glass of warm water and then add apple cider vinegar and salt. Mix all ingredients well. Rinse your mouth with the resulting solution after brushing your teeth. You can use apple cider vinegar for hair. This ingredient will help your hair shiny and healthy. To prepare this homemade conditioner simply add olive oil or essential oil to the apple cider vinegar. Mix the ingredients well, and then apply on your hair. After 10 minutes, wash it off with water and rinse hair with shampoo to get rid of olive oil. Repetitions: Repeat this procedure every time you wash your hair. The malic acid present in apple cider vinegar helps to cope with dandruff and other similar problems. The use of apple cider vinegar destroys fungal microorganisms and prevents infections. After 10 minutes, rinse your head with cool water. Repetitions: Repeat the procedure 3 times a week. 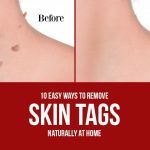 As you know, acne rash clearly indicates the accumulation of toxins in the body and increased sebum production. Apple cider vinegar helps to restore the natural pH balance of the skin as well as protect it from inflammation and the bacteria. Mix apple cider vinegar in the specified amount of water. Dip a cotton pad in the resulting solution and apply on problem areas of the skin. Repetitions: Repeat the procedure daily or twice a day. Apple cider vinegar helps to soothe the pain from burns and reduces inflammation. Apple cider vinegar can treat the many problems associated with beauty. The most important thing when applying apple cider vinegar to the skin is to remember to dilute it with water. This will avoid irritation. So, if you still have not tried using apple cider vinegar for beauty, then we advise you not to be afraid to start.